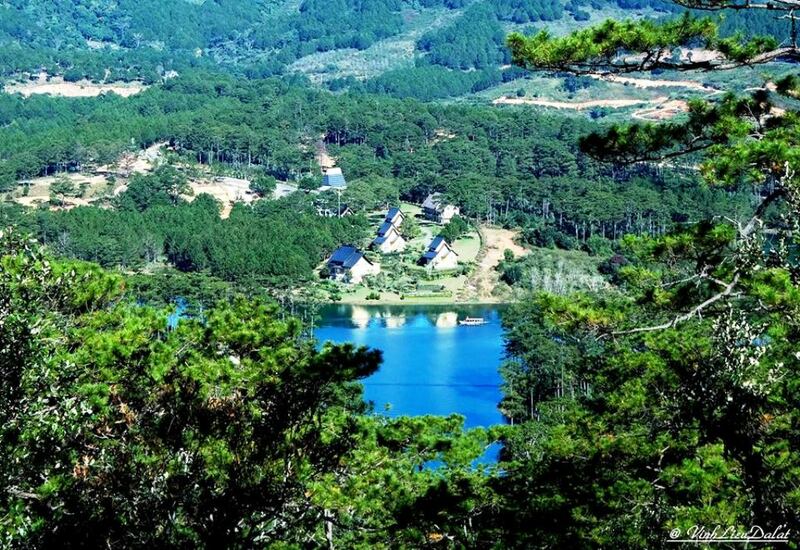 It takes about 6 kilometres from Tuyen Lam Lake to Dalat’s center, besides Truc Lam pagoda, where owns the diversity, charm and full of fresh air, quiet space, natural landscapes (forest, mountain, lake, waterfall, stream,…). It also carries a lot of human civilizations that promising the future of being a large scale and famous tourist area with many special tourism activities as: sightseeing, camping, relaxing, curing, walking, hiking, fishing, visiting revolution base, festival – faith, entertainment, sports, … and the most interesting is ecotourism. 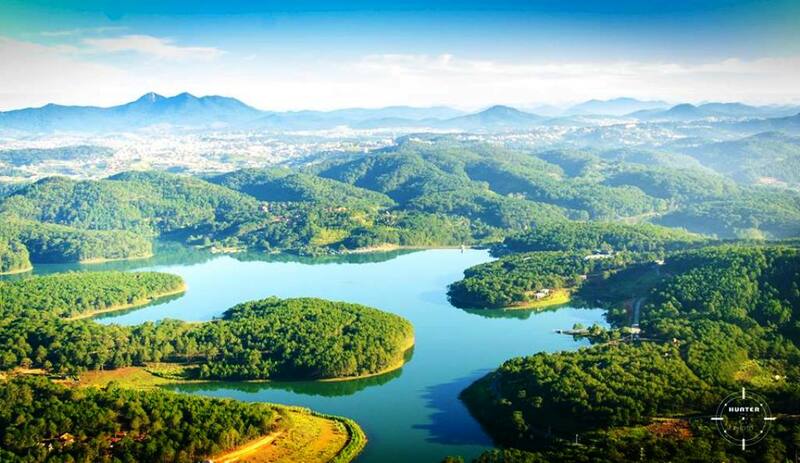 In 1930, Mr. Farraut – a French who had been living in Dalat for a very long time – Hired more than 3000 ha of land area ( Tuyen Lam Lake’s area ) to farm as breeding pigs and poultry, even sheeps and cows. During two war of resistance against the French and USA colonialists ,Tia Stream and Voi mountain – called Tia Stream base or Quang Trung base, were the most important base of revolutionary movement of Dalat City. This base played a role of leading the political strunggle movement, armed struggles of the people in here. 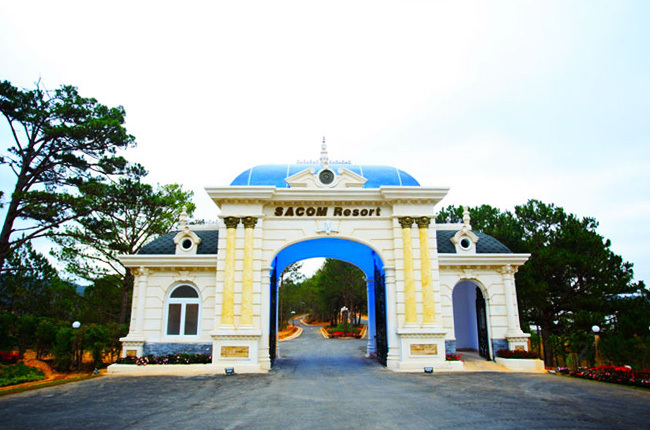 Here was the gathering place to train the armed forces, action units and a springboard for an attack on Dalat city and able to fight at the battle fonts of Tuyen Duc Province. From 1982 to 1987, Lam dong Irrigational Company – which is donated by Ministry of Irrigation, built a dam with 235 meters long to partition off Tia Stream (Da Trea). These created Quang Trung Lake and then renamed to Tuyen Lam Lake. 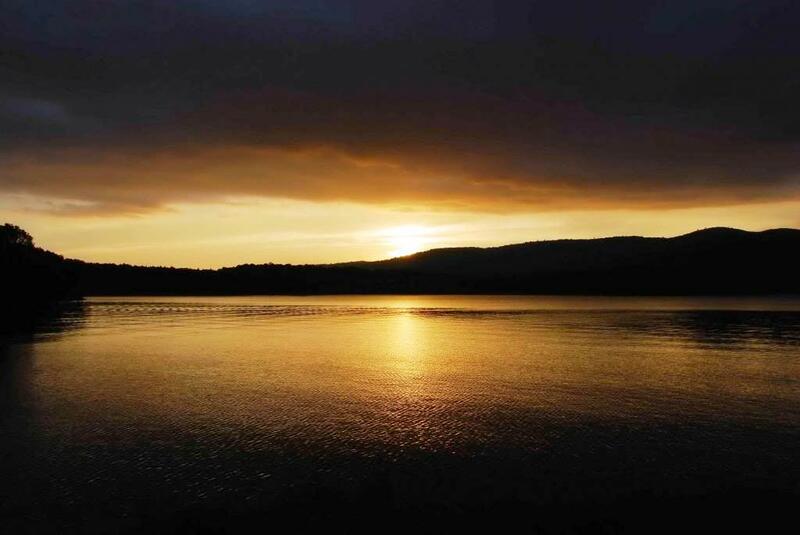 The Ministry of Culture – Information officially recognized Tuyen Lam Lake as a cultural and historical relic. 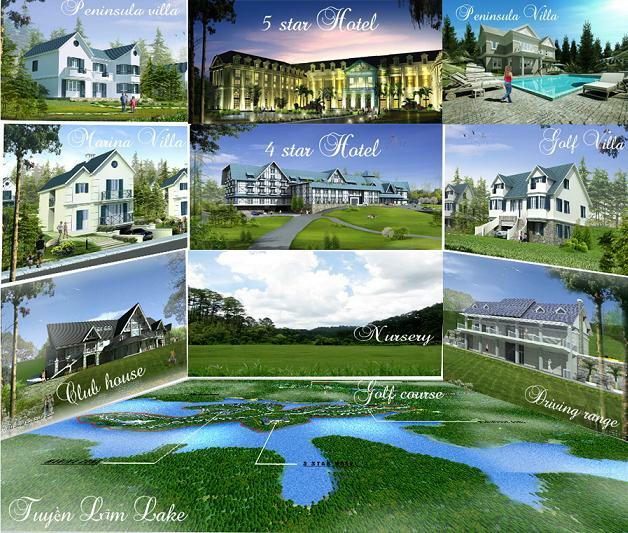 The Present of Tuyen Lam Lake. 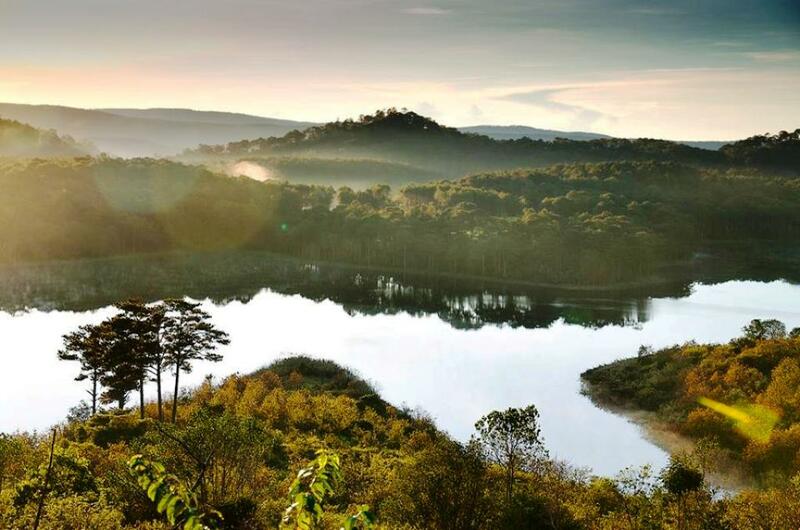 The Tuyen Lam Lake’s area is about 350 ha, 30 meters depth. The water flow through a spillway with 6 rungs and support the water for the land at the base of Prenn waterfall in dry season. 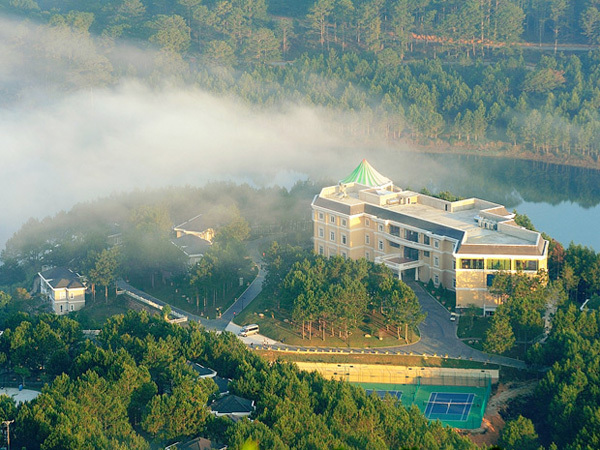 What a beautiful picture on the surface of the lak, with a green hill full of pines! The small waterfall named Bao Dai has been known as a resting place after hunting of Bao Dai King. Nam Qua area has some restaurants, reeded kiosks for tourist to eat and relax while visiting around Tuyen Lam Lake. 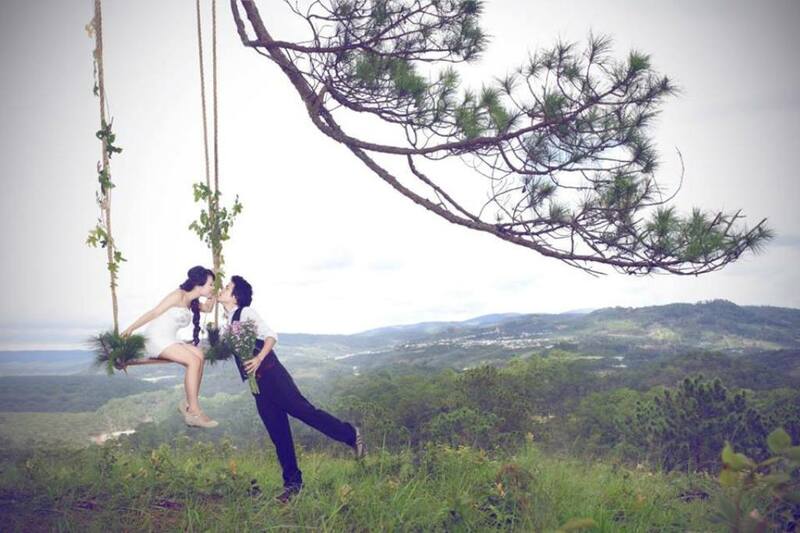 Fairy Stock- Voi Mount tourism area is organized by Phuong Nam Outdoor Tourism Company as a conjugated outdoor activities: fishing, elephant riding, hunting, climbing, fire camping, relaxing in houses on spilts, enjoying art performances of ethnic minorities. There is a long house on spilts, some small reeded one, a lot of large stock with one especially carried a form of a fairy man. It takes about 15 minutes from the boat station near the lake to Fairy Stock and about 25 minutes to the other side of the lake. In the future, Tuyen Lam Lake will become a tourism area of ecology, relaxation, modern seminar but its bare environment is still remained.